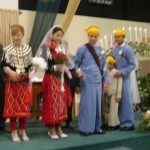 Labor Day weekend we went to Jacksonville, FL to a wedding of Lat Aung Kinraw and Chan Myae Thu [Esther]. 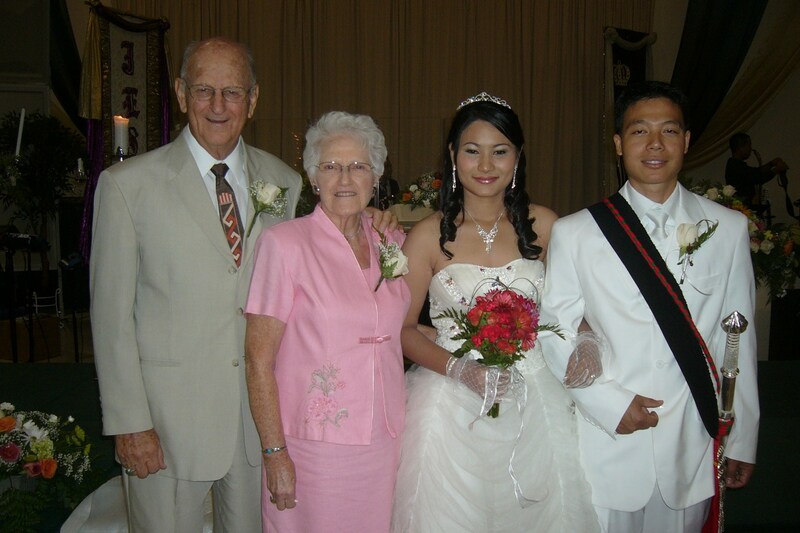 She arrived from burma on Sept 1 and the wedding was the 4th. He had everything arranged plus he has so many friends and family that this was a special production as you can see by the pictures below. 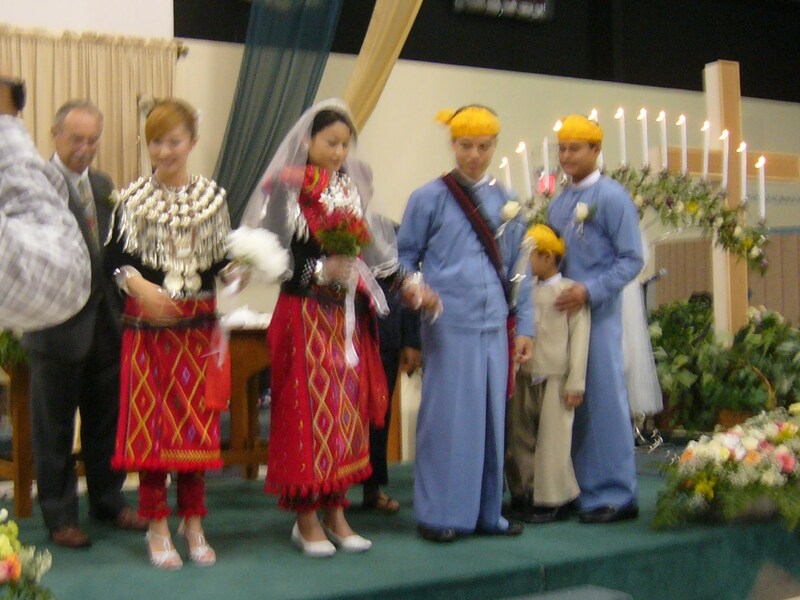 One of the features of a Kachin wedding is that they dress in the traditional style for the wedding and then they go out and change to more of an American style dress. 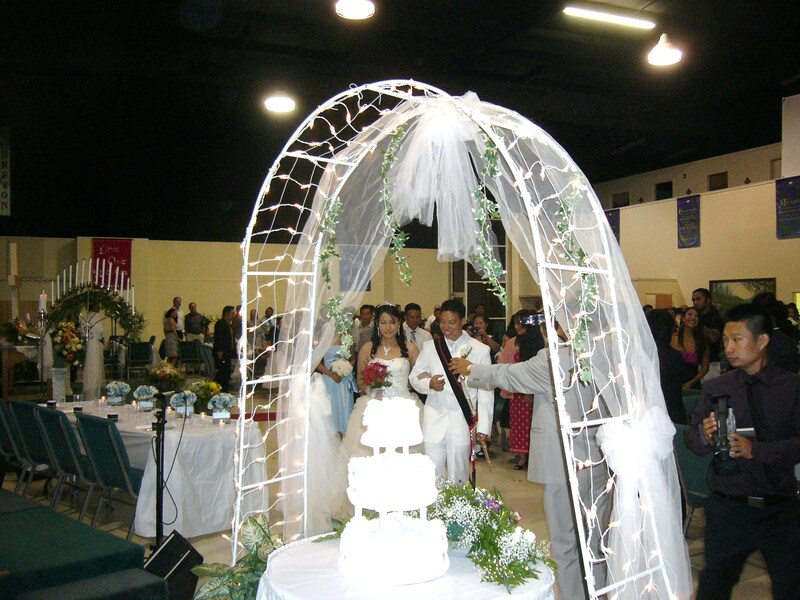 They then cut the cake before the meal and had me speak with some comments about marriage and pray. When they cut the cake the used the sword that she gave to him, and asked Ruth and me to hold onto the sword with them to make the first slice. All of this is representative of the honor and the relationship he has given us as his American parents. Then they had the elaborate buffet of Kachin food, much like Chinese. 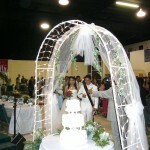 The bride and groom went from table to table to greet everyone. He is such an appreciative person that they did not finish this until everyone was finished. Of course it took more time since it seemed that he wanted pictures with everyone. 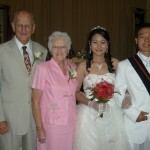 Esther’s mother came from Burma with her and Lat Aung’s father too. Many came for Texas, Louisiana, Pennsylvania, North Carolina and California, plus the many who live in Jacksonville. The day was not over. At 6:00 people, many people, met at his house for a dedication [worship time] of their house that he bought in May. This involved 5 speakers and nearly 1 ½ hours and then food. I respect that they except us and consider a responsibility to them in the name of our Lord. I only wish you could know Lat Aung. He is a very special person.